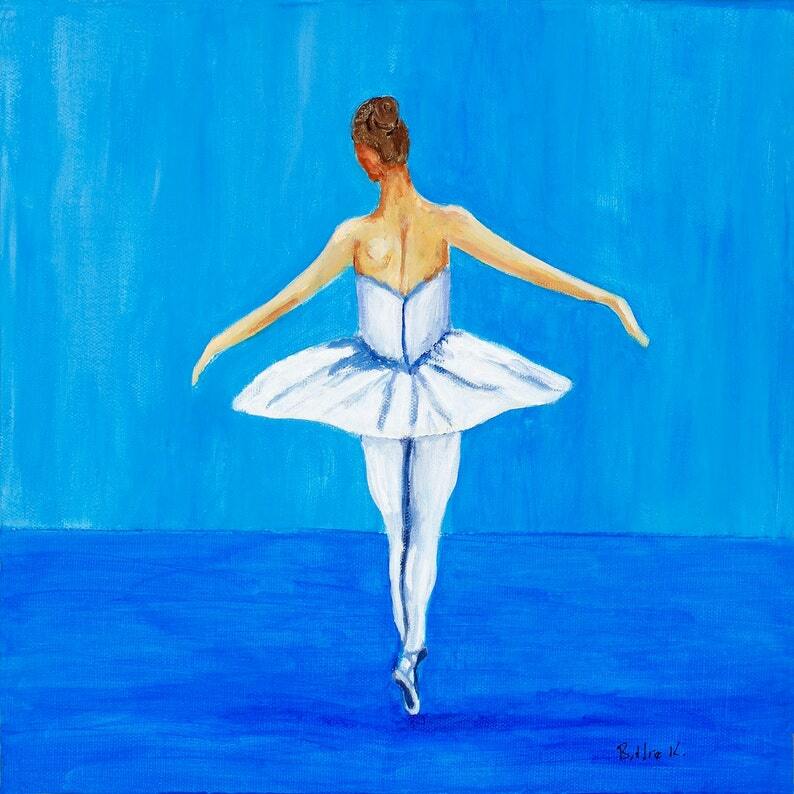 This vibrant, blue and white print of a ballerina dancing en pointe would be the perfect artwork for your child's room, nursery, or any space that could use a bright spot of color. The print is an open edition, signed by the artist. ★ This art print on photo paper will fit in any standard 8 x 8 frame.